Silkworms are fascinating AND they are extremely nutritious when fed to your animals (please see nutritional information chart HERE). We specialize not only in Flightless Fruit Flies, but also in Silkworms. Silkworms are for a huge number of purposes, from being a live feeder for your pet to being the basis of a silkworm biology project in school, and on to simply being a brief pet for you and your children, SILKWORMS ARE WONDERFUL! Silkworms have a life cycle of approximately 4-6 weeks. After hatching, they will gorge themselves on mulberry and grow very quickly to about 3'' plus. They will then spin a silk cocoon and change into a moth. The moth will emerge, mate, lay eggs and die within a week or two, completing the life cycle. Small Silkworms are approximately 1/4'' - 1/2'' and are available in quantities of 25, 50 or 100. Silkworms ONLY eat mulberry leaves or our special prepared mulberry food. IMPORTANT: If you will be growing your Silkworms or keeping them for longer than the first day you receive them, YOU WILL NEED TO FEED THEM. Please CLICK HERE for Silkworm Food. Medium Silkworms are approximately 1'' and are currently available in quantities of 25 and 50. Silkworms ONLY eat mulberry leaves or our special prepared mulberry food. Our large Silkworms are approximately 1 1/2'' - 2'' and are available in quantities of 25 or 50. 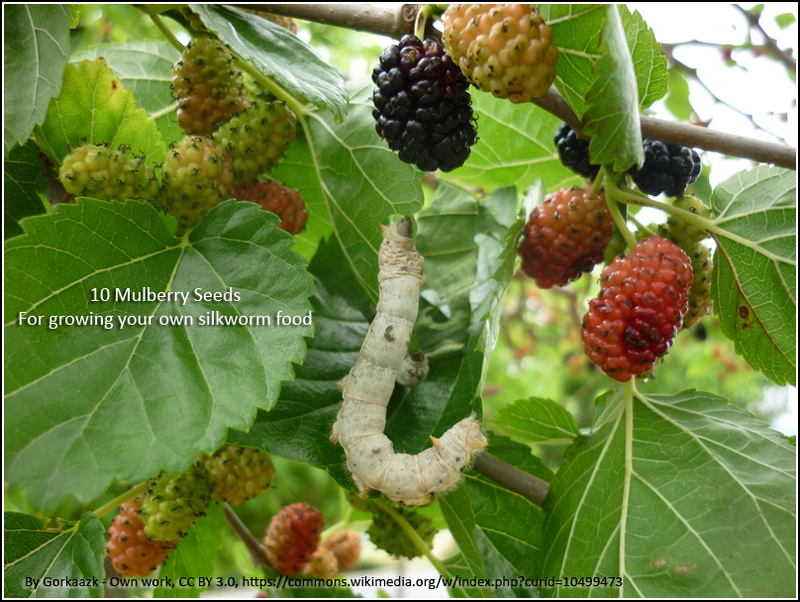 Silkworms ONLY eat mulberry leaves or our special prepared mulberry food. 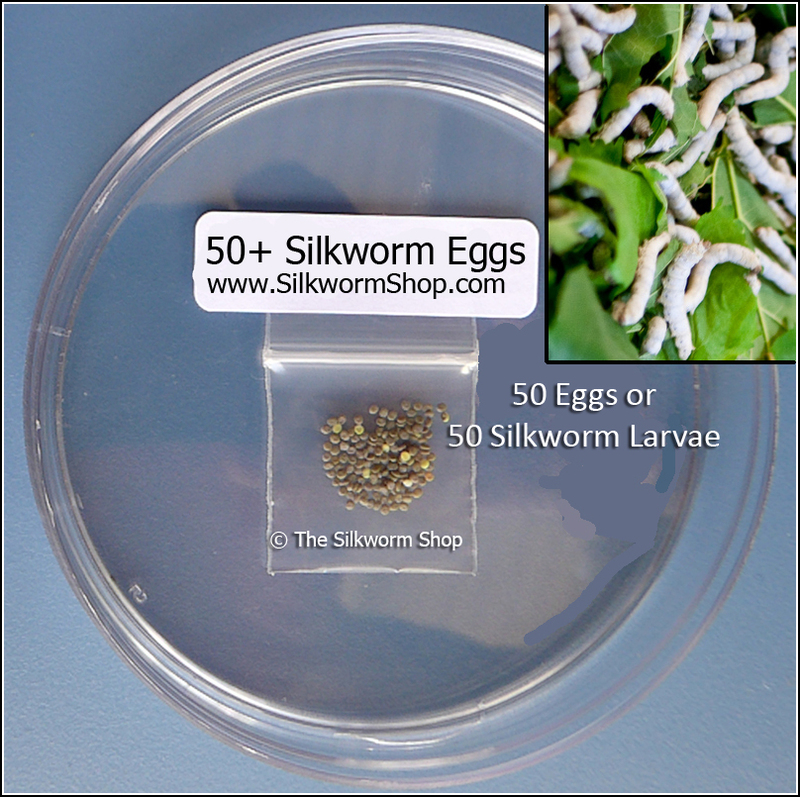 Silkworm Eggs are the most economical way to grow and raise silkworms. They are available in counts of 250, 500 or 1000 Easy-to-follow instructions will tell you exactly what to expect and what to do. 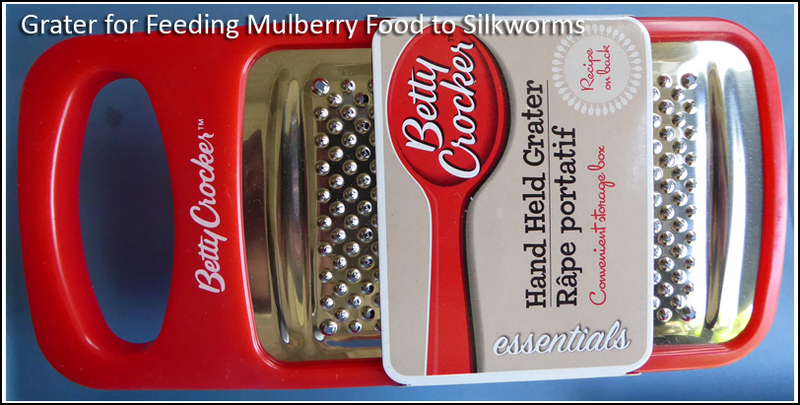 IMPORTANT: Silkworms ONLY EAT MULBERRY. Be sure you have either mulberry leaves for the soon-to-hatch caterpillars or our special Mulberry Paste, which is made from dried mulberry leaves. Our prepared Mulberry Paste is a great substitute for those who don't have access to fresh mulberry leaves. This item will also allow you to raise Silkworms year round, since mulberry trees drop their leaves during the Fall. This "mulberry paste" is mulberry powder that has already been prepared and packaged for you. If you'd like a more economical alternative, try our mulberry powder below (requires cooking). Our dry Mulberry Powder is the same thing as the prepared mulberry food above, but it has not been prepared. Preparation involves adding water and cooking. Complete instructions are included. 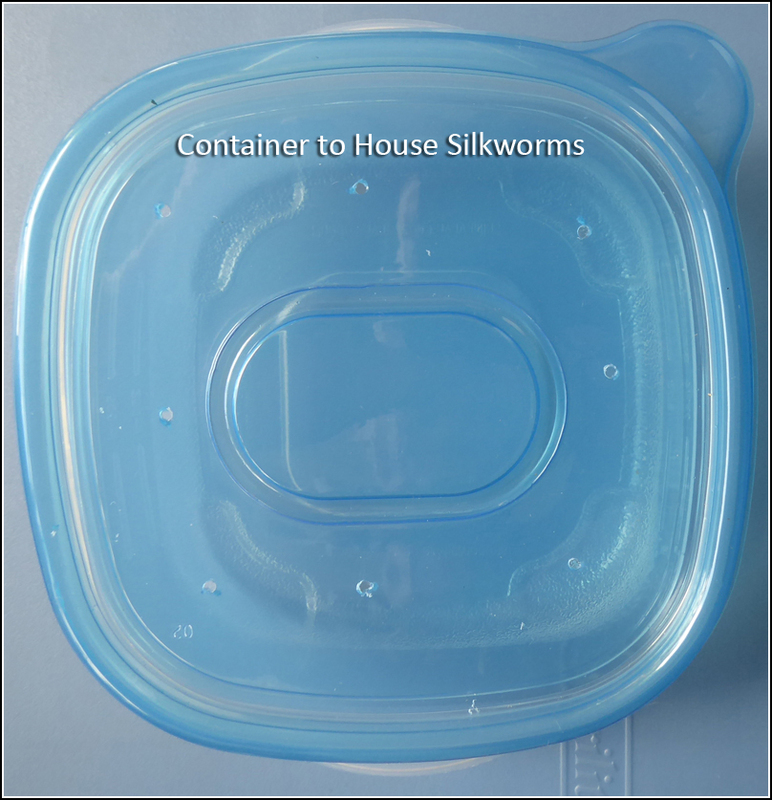 This is our most economical Silkworm food. 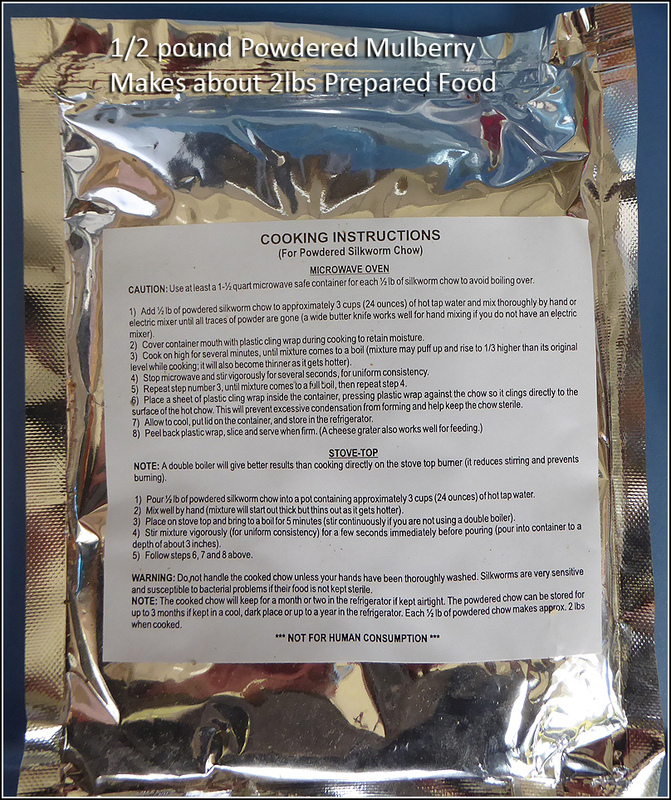 One pound powder makes 4 LBS mulberry paste when prepared. After food has chilled, simply grate a small amount over your Silkworms when feeding time has come. Silk Cocoons are what the world makes silk fabric from. These cocoons are whole, meaning the Silkworm moth has not emerged and has not made a hole in the cocoon. 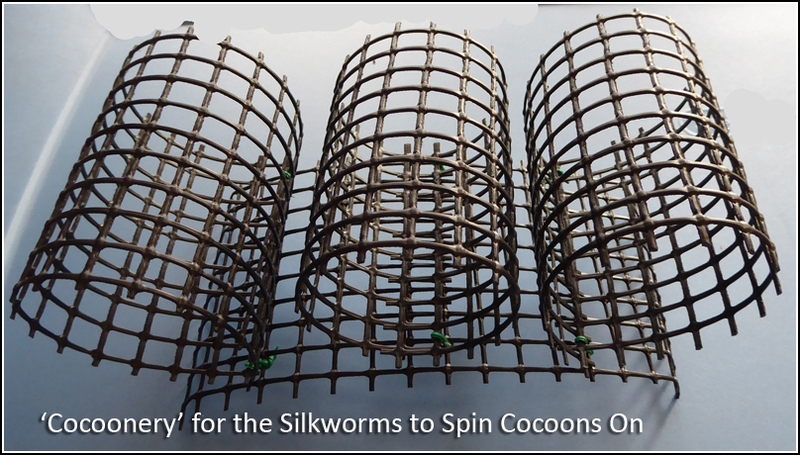 The silk strand that comprises the cocoon is, therefore, one very very long unbroken strand. The dried pupa remains inside the cocoon and has died. 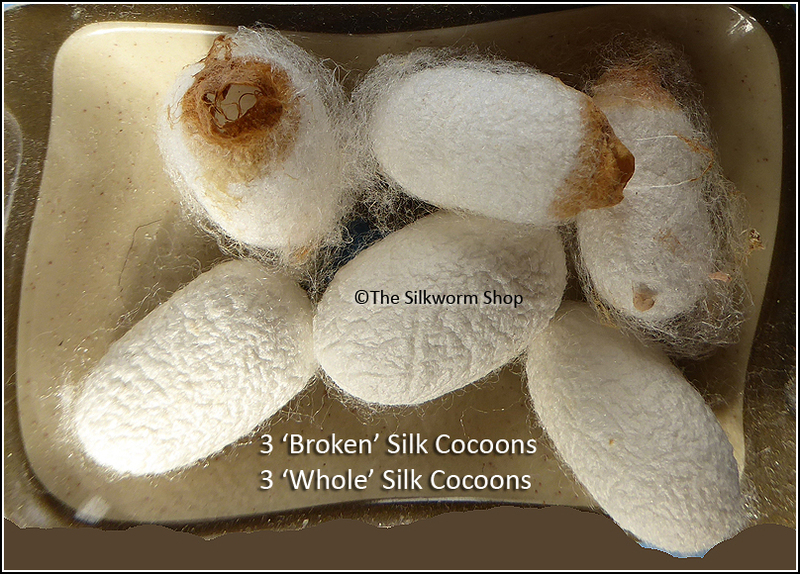 These silk cocoons are broken, meaning the Silkworm moth has emerged and has made a hole in the cocoon while emerging. The silk strand is therefore broken and there is no pupa inside the cocoon. This item could be part of a wonderful presentation on the life cycle of a silkworm and it's emergence from the cocoon as a moth. Metal tongs are 6'' in length and can be used to hold Silkworms (or anything you don't want to touch). 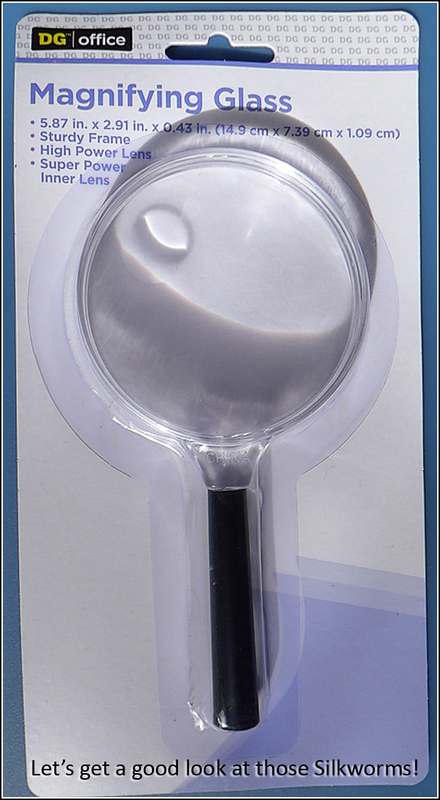 They are also extremely handy as a tool to place any item into your animal's enclosure. Silkworms ONLY eat our Silkworm Food or fresh MULBERRY LEAVES. These seeds will grow into trees which bear the mulberry leaf that feeds the Silkworm. Please note- it will take a few years before you will have a specimen large enough to give leaves for the all-important Silkworm cause. You will be surprised, however, how vigorously the mulberry tree grows - like a weed. Here is everything you need to know about the Silkworm and how to make silk at home. Facts and information, types of Bombyx mori, raising, housing, care, food, common problems, estimated costs and where to buy are all included. This book is written in an easy to read and understandable style. This book should be read by anyone interested in raising Silkworms. You will be transformed into a Silkworm raising Zen master after reading this educational book. 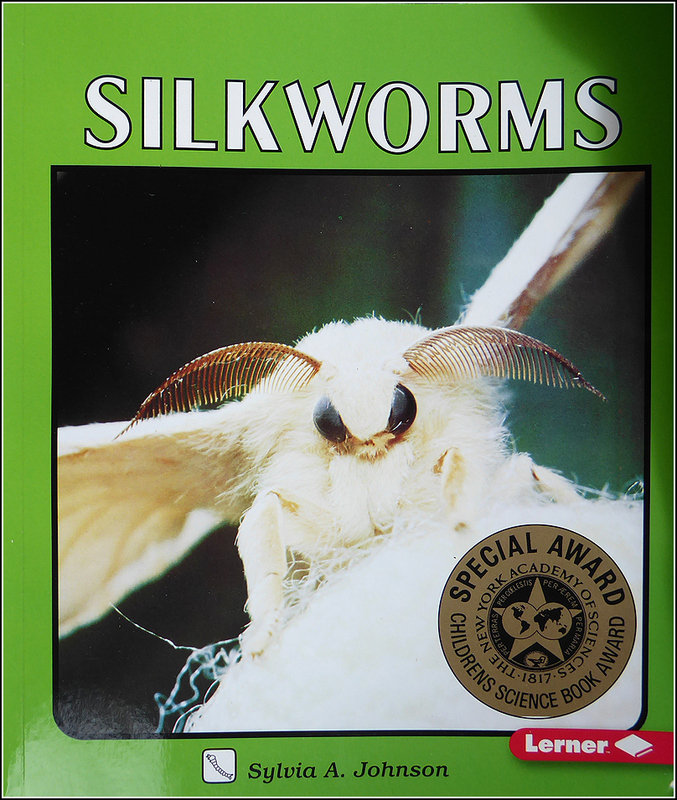 This book is ideal for both children & adults alike, providing a wealth of knowledge about Silkworms. With excellent photos and well written text, this book is an introduction to the domesticated Silkworm moth. Learn what happens in the charming story about entering a Silkworm Project in the state fair. This book is the Winner of the 2005 Chicago Tribune Young Adult Fiction Prize and a New York Public Library 2005 Best Book. If you'd like to learn much more about the fascinating Silkworm, PLEASE VISIT OUR PARENT WEBSITE, The Silkworm Shop. You'll find tons of resources, including teacher lessons, Silkworm jokes, anecdotes, a Silkworm poem and song, Silkworm projects and more.